Aikawa is not what it used to be. Once a shining beacon of light in the West Island sushi scene (okay, maybe that’s an exaggeration), Aikawa brought a sort of sophistication to the Japanese cuisine relative to the other places around here. Serving primarily Japanese fusion, the place definitely does not stick to the rules and has no qualms about serving items such as “tempura coated soya bean paper roll with green tea cream, slices of cooked mango and blueberries” nor “spicy salmon, cream cheese, avocado, tobiko and crab meat rolled in seaweed, coated with light tempura batter Sambuca flamed” nor “vanilla ice cream, banana, apple tempura and butterscotch chocolate”, all of which are pretty crazy and out of the box. And though they sound pretty strange for a Japanese restaurant to be serving, I admire their boldness in serving such outrageous dishes. Some are hits and some are misses, that’s for sure. Those who are true believers in the simple art of Japanese cooking might look down upon these kinds of concoctions or find them somewhat offensive, but to be honest, sometimes the pairings actually hit the spot in a good way. At least that’s what used to happen when we came to Aikawa. For the sushi, we ordered one of the Chef’s creation’s called Jade. 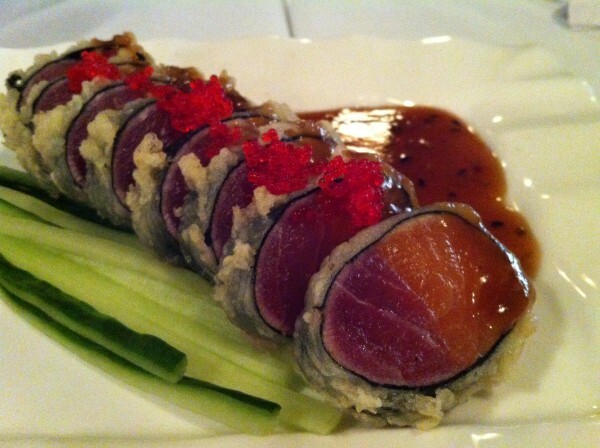 Rolled with fresh salmon and tuna with tempura breaded seaweed, this one tasted much better than the appetizers. The fresh fish really made the sushi taste delicious, especially with the combination of the sweet popping caviar on top dipped in the sweet-salty sesame sauce. An assortment of Kamikaze, Rainbow, soft shell crab, cucumber and tamago rolls came on a large communal plate so that we could all pick and choose as we liked. These were all pretty standard and tasted as you would expect them to. Nothing very notable can be said about these. One thing that is important to note is that Aikawa is not cheap, price-wise. 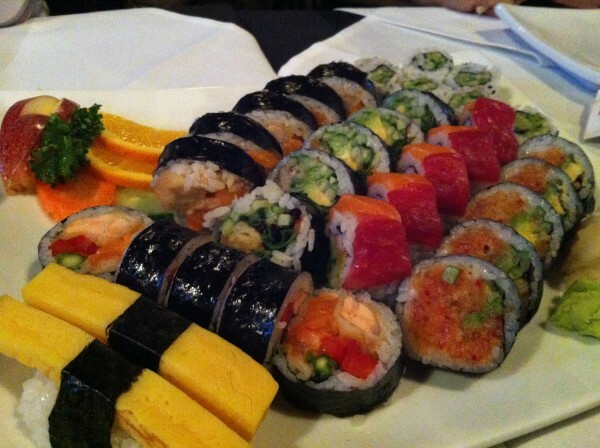 It can get quite expensive as the number of sushis you get start to add up – “chef’s creation” sushis can cost close to $20… The West Island desperately needs some good Japanese food! Aikawa was once there to alleviate the hunger (literally), but now that gap has opened up again. Someplace a little more affordable would be nice. 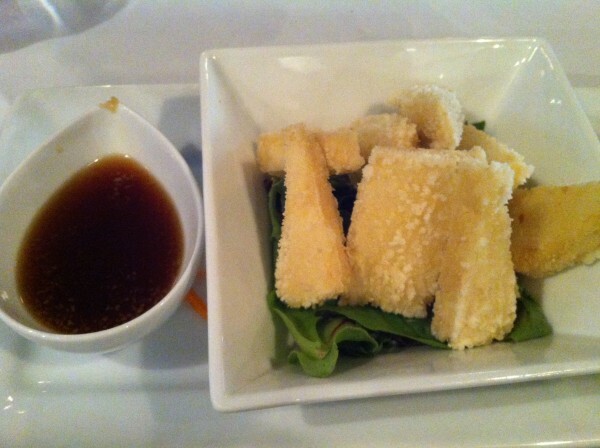 Tags: Agedashi Tofu, City, Dinner, Dollard-des-Ormeaux, Sashimi, Shrimp, Special, Sushi, Sweet Potatoes, Tempura.